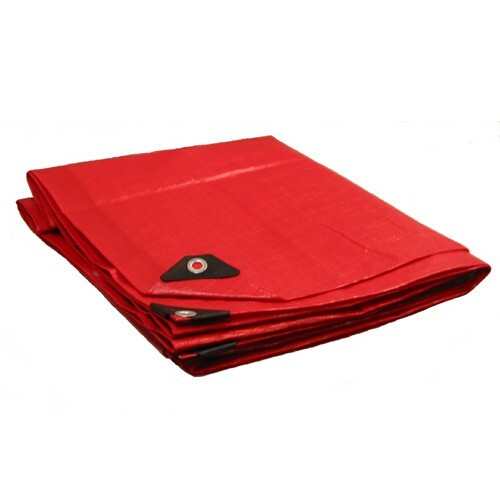 Our Red poly tarps are weather resistant- 100% UV Protection, Waterproof, and Mildew-proof. Its strong, tear resistant high density polyethylene. Each tarp comes with heavy-duty rust resistant grommets every 18 inches with rope reinforced corners and eyelets.